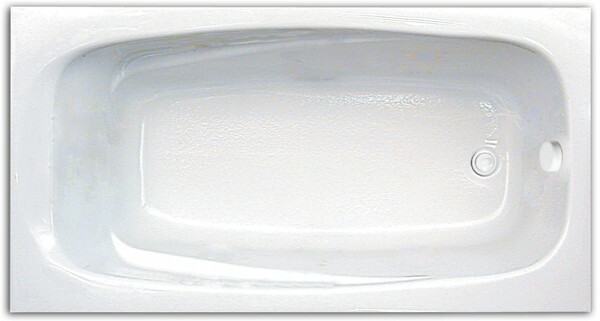 Perfect for a remodel, this 60 x 32" x 20" Tub is rectangular with an end drain. A back slant of 130° and armrests aid in the bather's comfort. Choose a soaking tub or heated soaking bath. For those that want a massage look to the air, whirlpool or combination jet tubs. In fact there are 10 styles to choose from so you are sure to find the perfect bathtub for you. Tub Size: 60" x 32" x 20"